Proekspert » Proekspert Industry Analytics Coffee Mornings off to a great start! 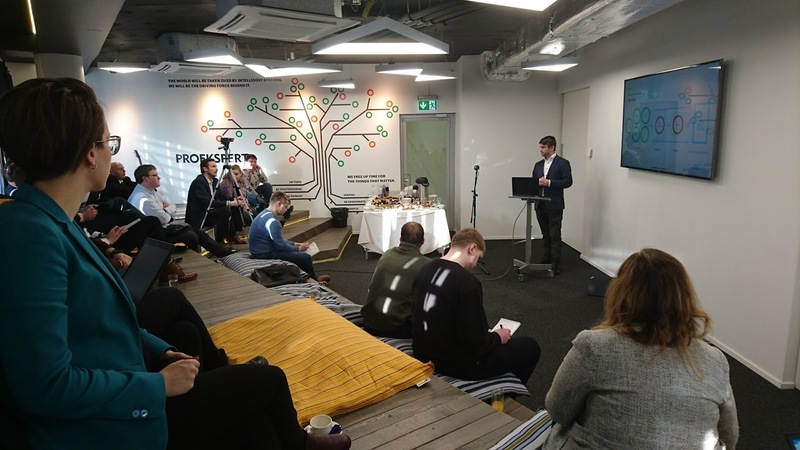 Proekspert was proud to kick off another successful series of Industry Analytics Coffee Mornings. With the goal of knowledge sharing we invited practitioners from across Estonian industries to share and discuss experiences in the optimization and improvement of discrete manufacturing. The event itself turned out to be wildly popular with active participation from both global players such as Ericsson and Siemens and smaller local industries such as Hyrles OÜ, Saku Metall Allhanke Tehas AS, Hanza Mechanics Tartu AS, Trafotek AS, Elektrilevi OÜ, Santa Maria AS, Amphenol ConneXus OÜ and Flir Systems Estonia OÜ. The underlying theme of today’s event was simplicity in analytics solutions for manufacturing. While digitalization and Industry 4.0 are red hot topics at industrial conferences, the reality is often more mundane needing less complicated solutions. Peeter Meos, Proekspert’s Data Science technical lead, guided the discussion on the requirements, implementations and effects of analytical solutions improving everyday lives on the manufacturing shop floor. We covered topics such as insight discovery in manufacturing cycle times and the options for predictive maintenance through vibration analysis. 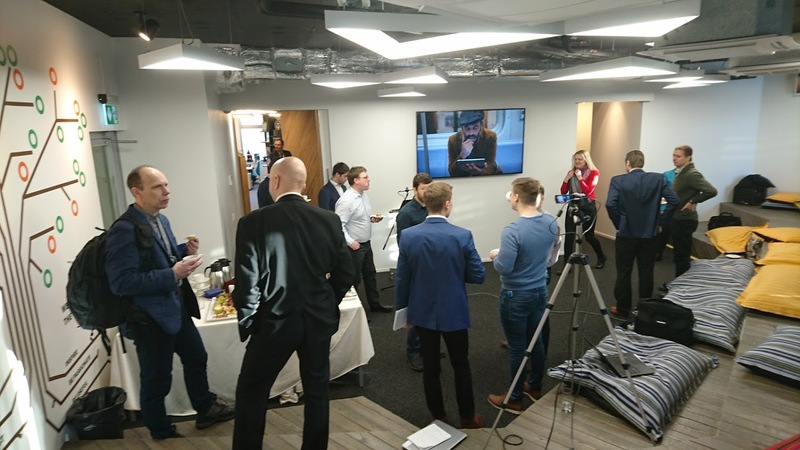 The discussion was further expanded and complemented by our Business Intelligence tech lead Oskar Haavel, who brought in recent experiences in providing the essential life juice for successful analytics at any organization––high quality data collection and storage. Since digitalization remains an important issue in improving manufacturing we are looking forward to the next event in a few months time. Meanwhile, we are interested in hearing about your areas of particular interest concerning analysis and improvements in manufacturing. If the area of analytics for manufacturing sparks your interest, our team is interested in having a chat. We are happy to offer a single day exploratory workshop at your premises. Please feel free to contact Tähve Lõpp or Oskar Haavel either via email: tahve.lopp@proekspert.ee; oskar.haavel@proekspert.ee, or telephone: Tähve Lõpp (+372 565 02752) and Oskar Haavel (+372 528 1999).